This page offers an insight into the variety of positions here at Simply Morzine. It is an opportunity to learn a little about a selection of our team and the stories behind them. 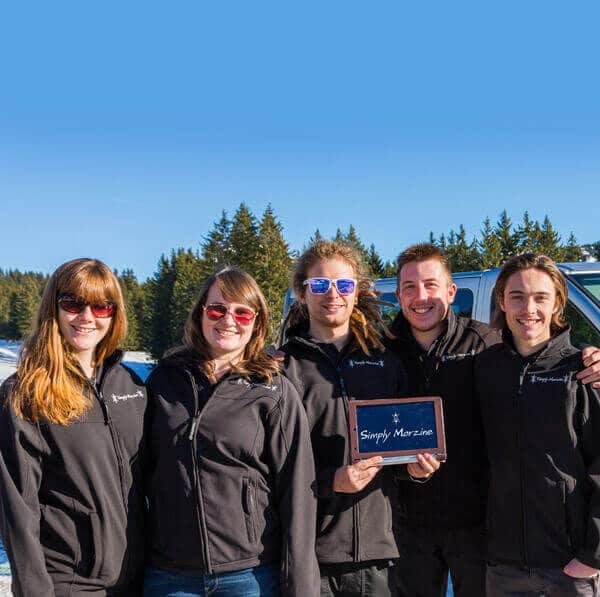 The Simply Morzine team work tirelessly to make your holiday as enjoyable and hassle-free as possible, taking satisfaction in the exceptional levels of service provided throughout your entire holiday process. This is perhaps the fundamental reason why Simply Morzine has lasted the test of time and why we stand out from the crowd. Our staff make all the difference. They define ‘who we are’ and ‘what we do’. Situated between Melton Mowbray and Nottingham in the rural East Midlands, Simply Morzine’s UK office is where all enquiries and bookings are handled. Our team here includes Managing Director Gareth Marshall, his brother Ben (Sales & Marketing Executive), Lewis Stott (UK Office Operations Manager), Lauren Lane (UK Sales & Administration Co-ordinator) & Greg Johnson (Sales, Marketing & Administration Assistant). Company Founder Mike Marshall is now retired but often pops in to assist and give us the benefit of his vast experience. Our UK Office team help from your first enquiry to your return home, whilst casting a close eye over all organisational and logistical arrangements. We endeavour to respond to emails as promptly as possible and are always happy to patiently offer our best advice and expertise on the phone. 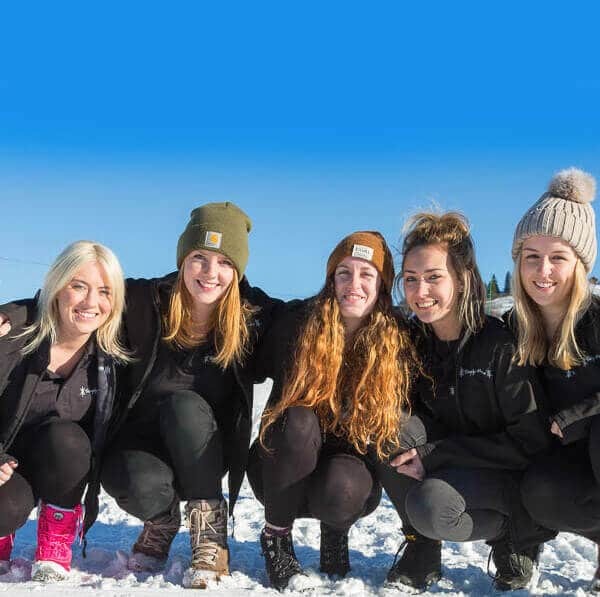 We care about your holiday and believe it is important to form a relationship of trust with potential guests and look after our many regulars – who travel with Simply Morzine year on year. Our hand-picked Resort Team consists of management, chefs, hosts, representatives/drivers and maintenance. Once you arrive in Morzine, it is they who make our holidays the success that they are; adopting an unobtrusive, attentive, ‘nothing is too much trouble’ attitude. We recognise the company is only as good as the people we employ. Consequently, we place utmost priority in ensuring each member of our team thrives within a supportive and enjoyable work environment, combined with the best possible living arrangements and all-round employment package. This is the Simply Morzine ethos. It is perhaps the reason so many staff return over multiple seasons. Countless have become firm friends through the years, with regular reunions and even a couple of weddings thrown in for good measure! Take a look at the various Simply Morzine roles and some of the individuals with whom guests come into contact either over the phone, by email, or directly in resort. ‘Big Mike’ is perhaps best described as a ‘charismatic charmer’ - with a love for the simple things in life and making ideas reality. He’s big by nature, with an even bigger personality! As many of our guests know, Simply Morzine is Mike’s brainchild, so credit where it’s due. In his far younger days (back in the mid-late 70s), Mike was a rugby star for the Leicester Tigers and even turned out against the mighty New Zealand All Blacks. His day job was a school art teacher (of all subjects), where he began running school ski trips was soon bitten by the ‘ski bug’. Never one to shy away and armed only with a dream, a mountain-sized work ethic, a little creativity and the unwavering support of his wife Sue, Mike made the brave decision to leave his ‘safe’ teaching job. Simply Morzine was born and we’ve never looked back. Today, Mike is no longer involved in the day-to-day running of the business, which he’s left in the capable hands of sons Gareth and Ben - although he’s always working on a new ‘project’ (or three)! 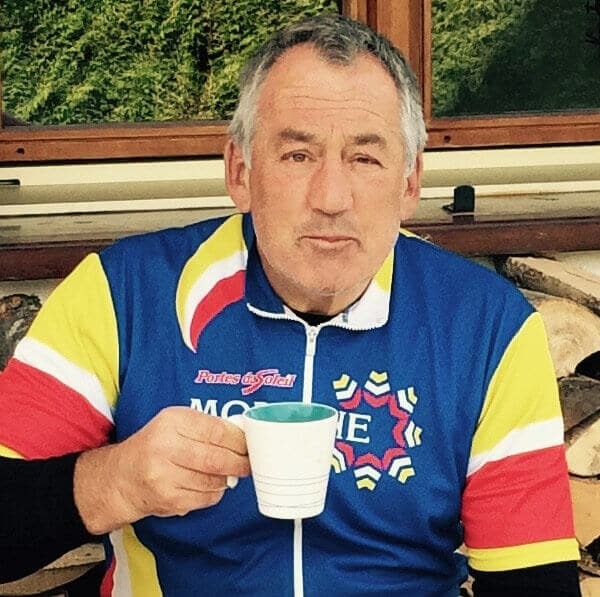 Mike now spends his days on long bike rides (he has cycled the 800 miles from Melton to Morzine solo), exploring in his VW camper and watching rugby. This is all mixed up with regular visits to Morzine and Salema to meet guests and enjoy the fruits of his labour. Nevertheless Mike’s main joy is spending time with his 6 young grandchildren (2 boys, 4 girls) and teaching them to ski. Thanks Mike, we owe you one! Simply Morzine is a genuine family-affair - Ben is Gareth’s brother and right-hand man. Ben is an energetic and creative go-getter who continually works hard to drive Simply Morzine forward and make improvements year-on-year. 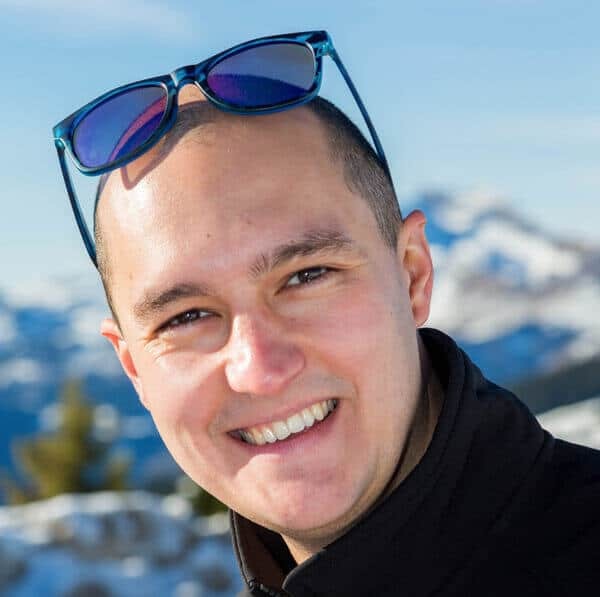 In charge of our sales operation, Ben is normally the friendly voice at the end of the phone - always happy to help you plan the perfect winter or summer holiday in Morzine. 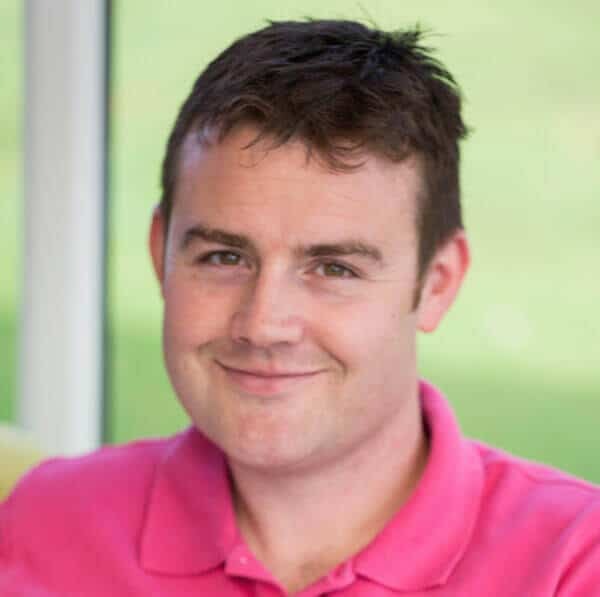 Ben is a journalist by trade and we were delighted when he decided to join the family business, after 10 years working across the BBC’s local and national radio networks. 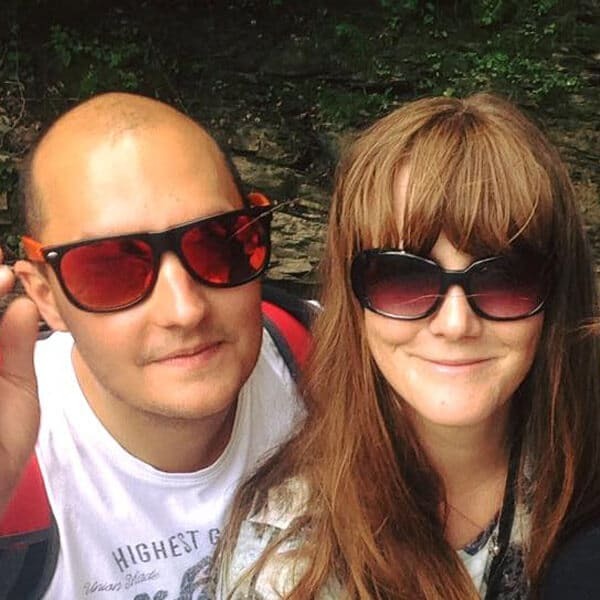 Ben’s communication skills and excellent turn of phrase help us with our website content writing, blogs, marketing and social media campaigns amongst everything else. Ben left the BBC to join us at Simply Morzine for one stand out reason - his love of Morzine, where he spent family holidays as a child before Simply Morzine existed. The company has grown out of this labour of love and the lure of getting involved was too much for Ben to resist. Ben is especially excited about growing and developing our summer family alpine activity holiday programme. Aside from his Morzine duties, Ben is in charge of our sister company, Simply Salema, where he has built up a very successful luxury villa rental business in the Algarve. When he’s not doing all this, Ben loves to spend his time cuddling his twin daughters, Bonnie & Darcey and the newest addition, Bertie. When he can, he also likes keeping fit and following football – or Leicester City – to be precise. As resort manager, Hamish is hands on in Morzine, ensuring that you have the best holiday with us, whether it be enjoying champagne skiing in the winter or a jam-packed activity holiday in the summer, and everything else in between. Hamish and his partner Rachel Purser-Lowman make an awesome team, and will be leading Simply Morzine from the front to new levels of excellence. As a French speaker Hamish will spend much of his time dealing with French suppliers, cementing Simply Morzine's stellar reputation in the local community. Hamish has been a passionate skier for many years, honing his skills after studying chemistry at university by doing winter seasons in Courchevel and Verbier. Whilst Hamish loves cruising down the pistes, his real passion is in the backcountry, searching for those elusive first tracks down a pristine snow field after a fresh snowfall. As a self-confessed foodie, Hamish can also be found amongst the many independent food shops in Morzine, sampling the local cheeses and delicacies. 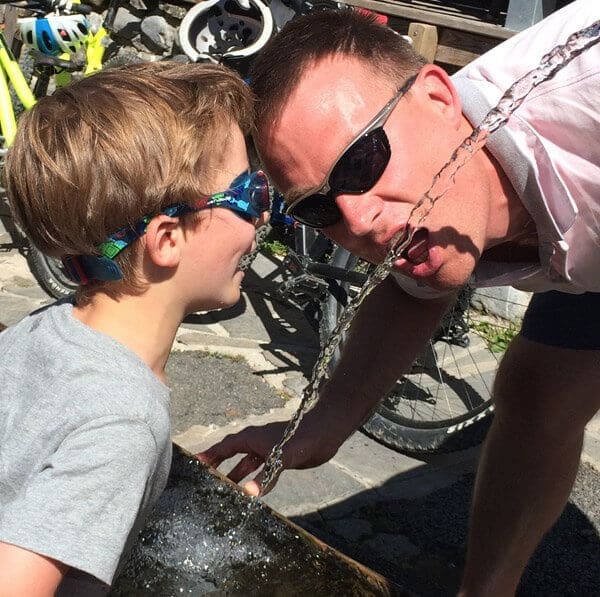 Hamish has professional experience leading a team, and his outstanding organisational skills will be put to good use day in day out, doing everything in his power to ensure that a holiday with Simply Morzine will be unforgettable for all the right reasons. Rachel is also Resort Manger and works alongside her partner, Hamish Crawford, to form the management team in resort. 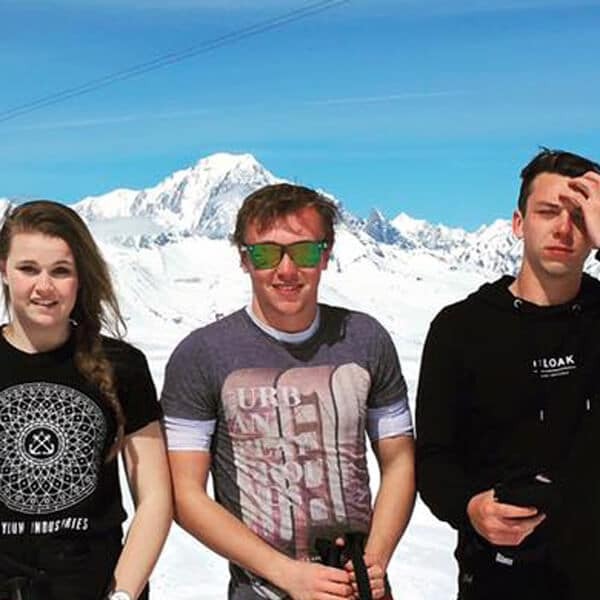 Rachel has been a keen skier from a young age, and has worked ski seasons with Hamish in the Three Valleys and Verbier, after attending Imperial College University where she studied Medical Sciences. Before coming out to Morzine to take up this exciting new role, Rachel worked for the Royal Society of Chemistry, running a resources website for teachers and students in chemistry higher education. The opportunity to live in the mountains and enjoy winter and summer seasons was enough to lure her away from ‘the real world’. Now her eye for detail and OCD-like organisational skills ensure Simply Morzine’s chalets are spick and span and our guests all have amazing holidays. As well as skiing across the Portes du Soleil in the winter, Rachel has also been enjoying mountain biking during the summer seasons. A naturally cautious nature has resulted in the nickname Grandma out in resort, so you’ll often find her at the back of the group telling others to be careful. Lewis is our UK Office Operations Manager. After successfully completing his apprenticeship in the 2016/17 season, Lewis signed his contract extension in May 2017. He has made a great addition to the UK office team (although strangely he doesn't drink hot drinks! ), where he combines his work interests with his passion for skiing. With his wide range of computing skills and social media experience, he is helping to move Simply Morzine forwards. 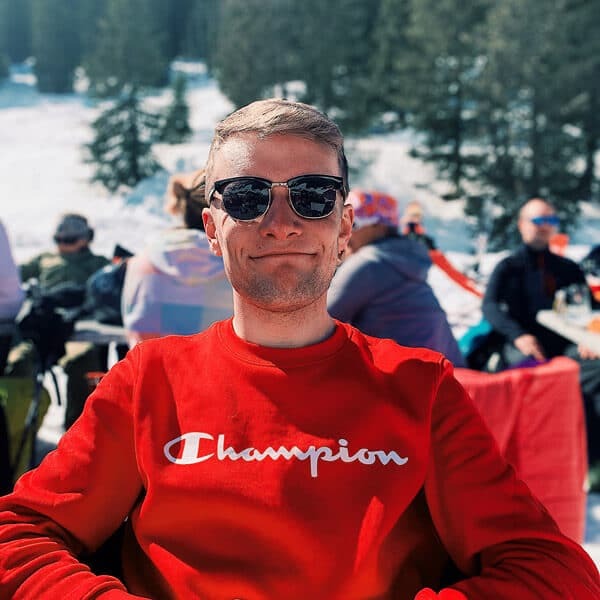 Lewis spent a month working in resort during the summer 2016 season where he got a real taste of life in Morzine and an understanding of how the business works. Away from the UK office, Lewis enjoys keeping fit by playing football & golf. He can also be found 'up north' in Manchester where he watches his favourite team Manchester City. Lauren is the newest member of our UK office team and has been a ray of sunshine from the off! She’s currently working through her apprenticeship in business admin - doing a great job helping across the board with sales, admin, marketing, social media, holiday logistics, you name it! A summer training trip to Morzine helped Lauren understand the intricacies of a Simply Morzine holiday and to learn about all things Morzine. It’s fair to say she’s a natural! If you call our office and Lauren answers, we’re sure you’ll find her charming, helpful, and knowledgeable. Lauren’s ambition is to, one day, become cabin crew for a major airline. But until then, she’s eager to learn, gain experience, and expand her horizons within the travel industry. 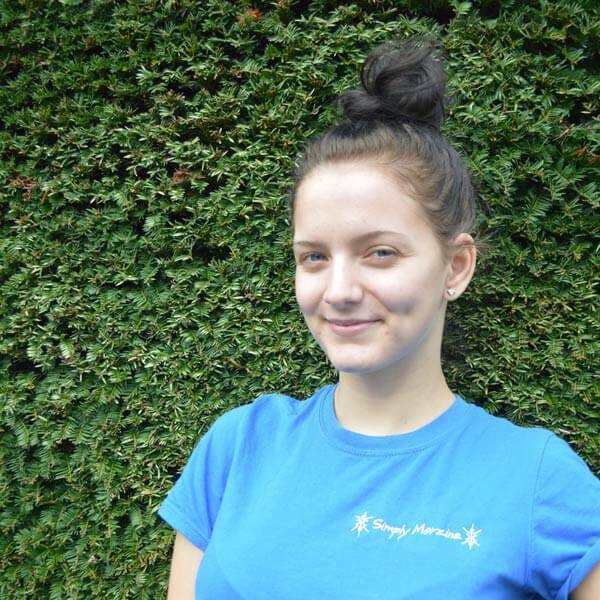 Away from work, Lauren’s very sociable, enjoys travelling and is always on the lookout for somewhere new. Whether she’s spending time with her younger siblings or friends, there’s never a dull moment. After dark, Lauren can often be found at a music concert, or out in Leicester town on a Saturday night! Greg – or GJ as he’s been quickly christened by his work pals – is the newest member of our UK office team. As a seasoned seasonaire, we’re stoked to have GJ on board. He’s lived and breathed mountains since he was just out of nappies – having enjoyed summer and winter holidays in the Alps as a kid before working seasons in Chamonix, Alpe D’Huez, Tignes and even Lapland. So if you need a ski holiday expert to help you plan the perfect holiday, Greg’s the man. And it’s not just that he’s been there and got the t-shirt, GJ’s as bright as a button, having recently graduated from the University of Leeds with a degree in Neuroscience. Greg’s destined for great things - but for now - we’re lucky to have him on board the good ship Simply Morzine. And when he’s not living and breathing skiing, Greg can be found watching the NFL (the Green Bay Packers to be precise) or keeping fit in the gym. And so the Anglo-French tale begins... Back in the early 1990s, when Simply Morzine was still but a dream, Mike Marshall was visiting the plot of land where our flagship Chalet des Montagnes now stands, working out which way to turn with his idea of setting up a business in Morzine. It was at this point that he met our soon-to-be neighbours, the Blanchi family, who own and manage the Chalet-Hotel la Chaumiere next door. They hit it off straight away and formed a great friendship. A few years later, following the formation of Simply Morzine and construction of Chalet des Montagnes, we began working in partnership with the Blanchi’s. Simply Morzine organise the bookings, the Blanchi’s run their hotel (very well) and it’s been a marriage made in heaven ever since - mainly thanks to the Blanchi family continually providing the warmest of welcomes to our guests. Michele Blanchi is the lady of the house. A seasoned professional hotelier, Michele expertly runs and manages her small and cosy abode, which has been passed down through generations. With gracious French elegance, the motherly Michele will be sure to make you feel at home during your stay at la Chaumiere. 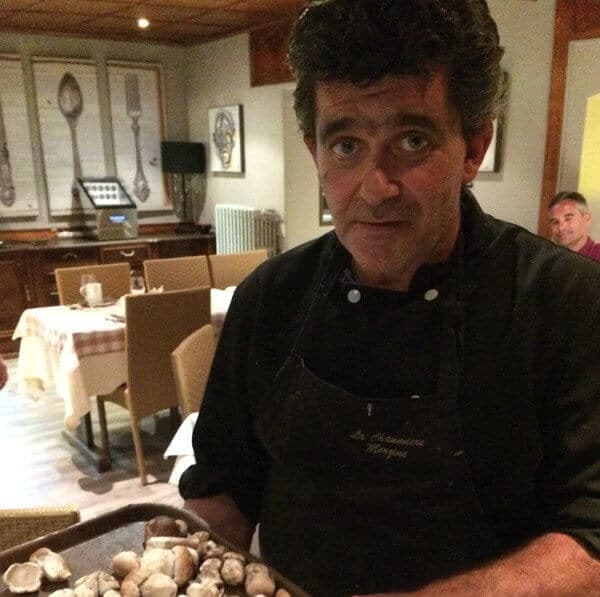 Franck Blanchi is Michele’s husband and co-owner of la Chaumiere. Franck’s a typically-tough mountain man who never stops working tirelessly to please our guests – in fact he’s the most hard-working person we have ever met! With a heart of gold and a permanent smile on his face, he is the heart and soul of the hotel. Franck is multi-talented; his roles include kitchen chef/manager, maintenance man and chauffeur. Simply put, he’s is one of a kind - a veritable living legend! Margot Blanchi, Michele and Franck’s daughter, is busily involved in all things la Chaumiere and destined one day to take full control of the reins, having a degree in hotel management. Like her parents, she’s charming, friendly and not one to be quickly forgotten! Margot always seems to leave a positive and lasting impression on our guests – mainly through her endeavours to get everything ‘just right’. Julian Blanchi, Michele and Franck’s son, is qualified in accountancy and business management. Assisting both front and back of house across all areas of the hotel. Julian is a handsome, charming Frenchman whom you are sure to meet at the hotel bar. We’ve known the Rosset family for as long as we’ve been in Morzine - and we’ve a lot to thank them for. In fact, we even bought the land to build our flagship Chalet des Montagnes from the family, so you could say Simply Morzine wouldn’t exist without them! The Rosset’s run our partner ski shop, Felix Ski, and we’re delighted to have worked closely with them for so many years. We also work alongside the Rosset’s in the summer season with our organised mountain bike and walking days, including the famous ‘La Rosta Ramble’. Felix Rosset is another local legend and highly respected in the area. Mr Ski, he’s lived in Morzine all his life and worked as an ESF ski instructor before setting up ‘Felix Ski’ in the 1980s. Felix has some interesting and unique hobbies! In his spare time he hunts wild boar, yodels, plays the harmonica and stays young by walking up to his remote mountain homes high above Morzine. Meeting and chatting to Felix is a memorable and must do experience for all Simply Morzine guests! Brigitte Rosset is Felix’s wife and shop sidekick. She speaks little English, however our guests always know what to expect when they’re welcomed into the shop; a huge smile - and if they’re lucky - a peck on each cheek! During our summer walks to the Rosset’s remote family chalet overlooking Mont Blanc, Brigitte prepares and serves her legendary ‘Tartiflette’, which we believe to be the very best in the Alps! Guillaume Rosset is the devilishly-handsome son of Felix and Brigitte. Often nicknamed ‘Morzine’s David Beckham’, Guillaume is a strong ski racer and followed in his father’s footsteps of skiing for a living. Guillaume works in the shop around his commitments as one of Morzine’s most respected ski instructors. In the summer he is our freelance alpine walking and mountain bike guide. Guillaume’s wife is a manager at the Morzine Tourist Office and they have 3 lovely children. Vincent Jacklin - Vincent is our maintenance man and is responsible for keeping our properties in good working condition. 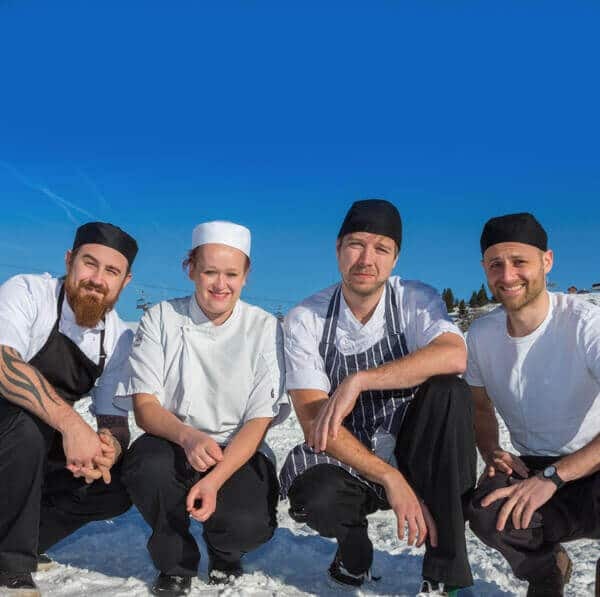 Our resort Resort Representatives are the faces of Simply Morzine. They are always available to give advice and answer questions. Expect to see the team driving our Simply Morzine minibuses on our ski shuttle service and airport transfers. Please see the Simply Food & Drink page for a taste of the sumptuous cuisine our private and professional Chalet Chefs will be preparing in your luxury chalet. Our amiable Chalet Hosts are always on hand to provide a friendly yet unobtrusive service. They will serve all meals and maintain exceptional standards of cleanliness around your luxury chalet.